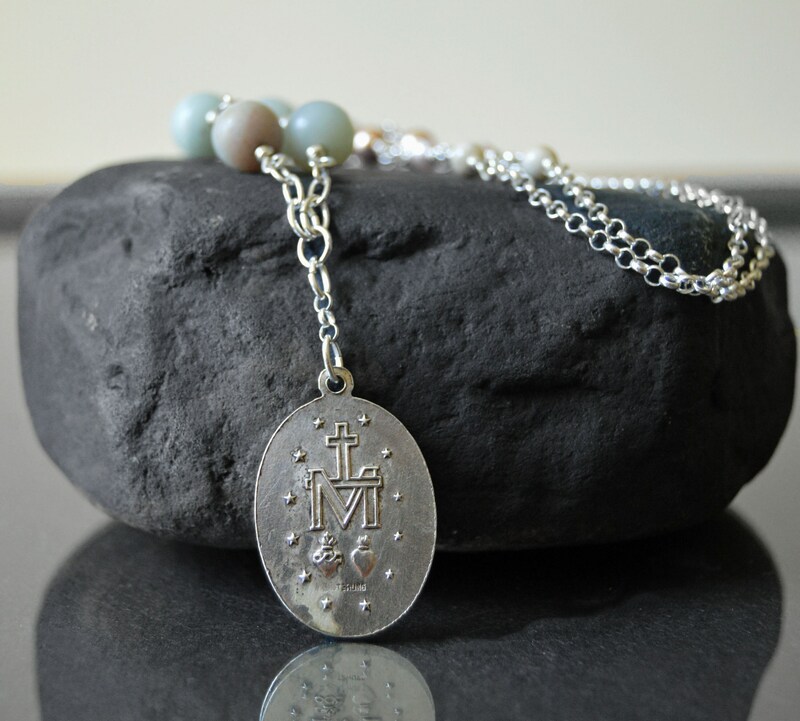 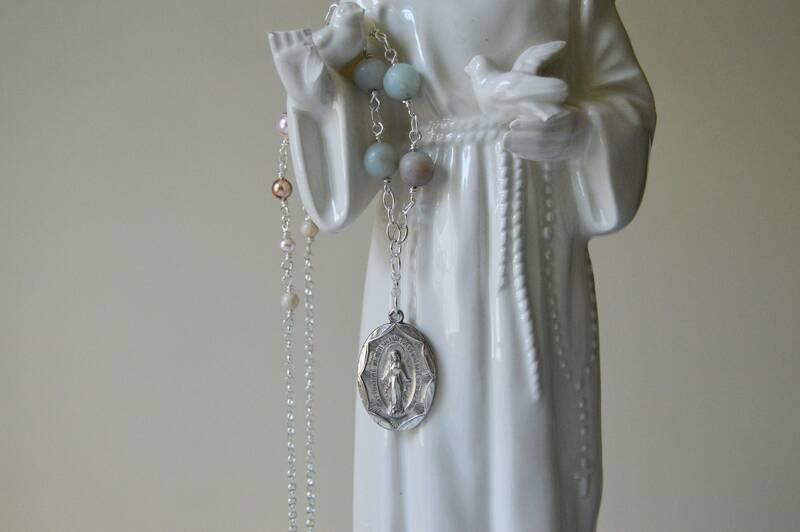 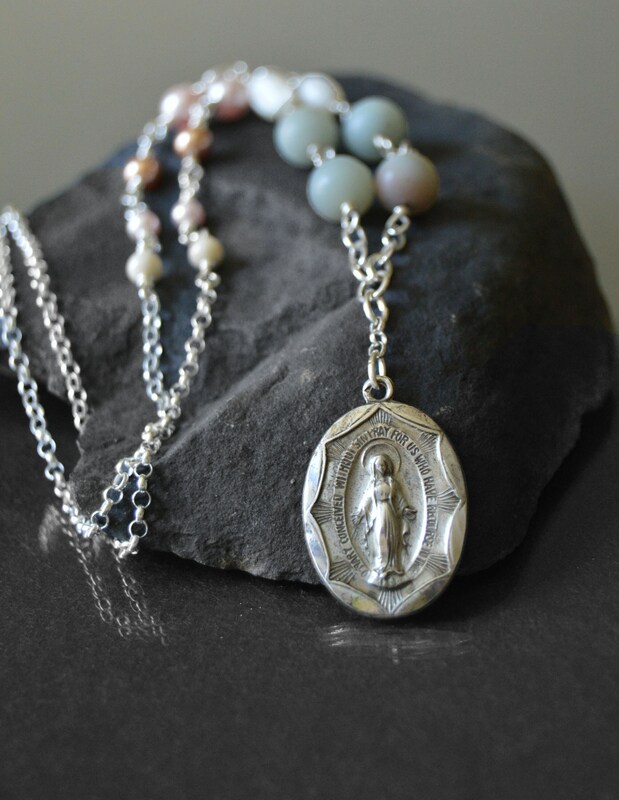 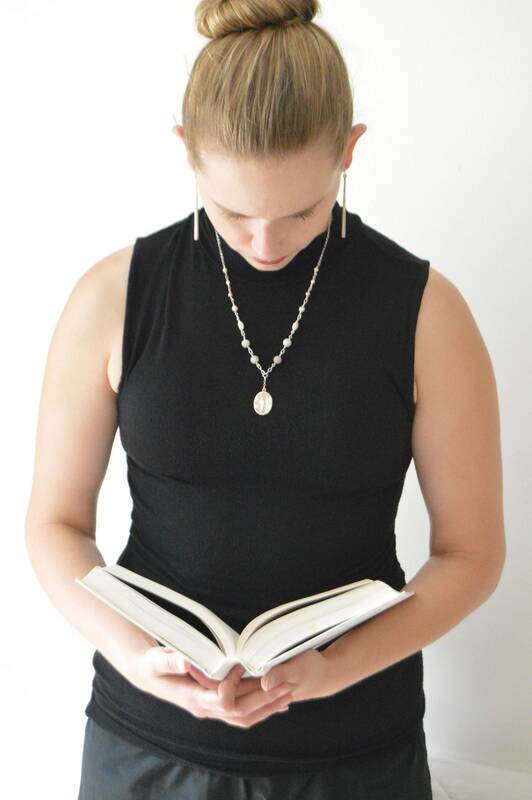 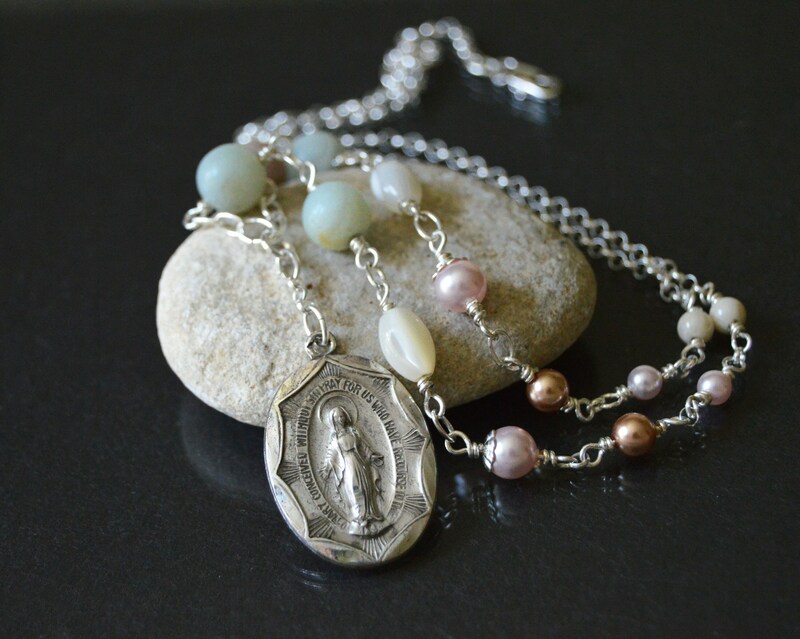 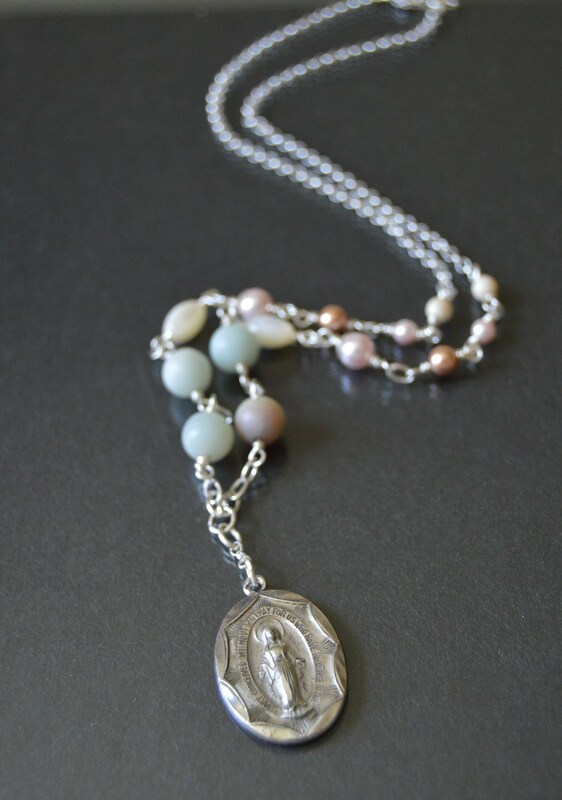 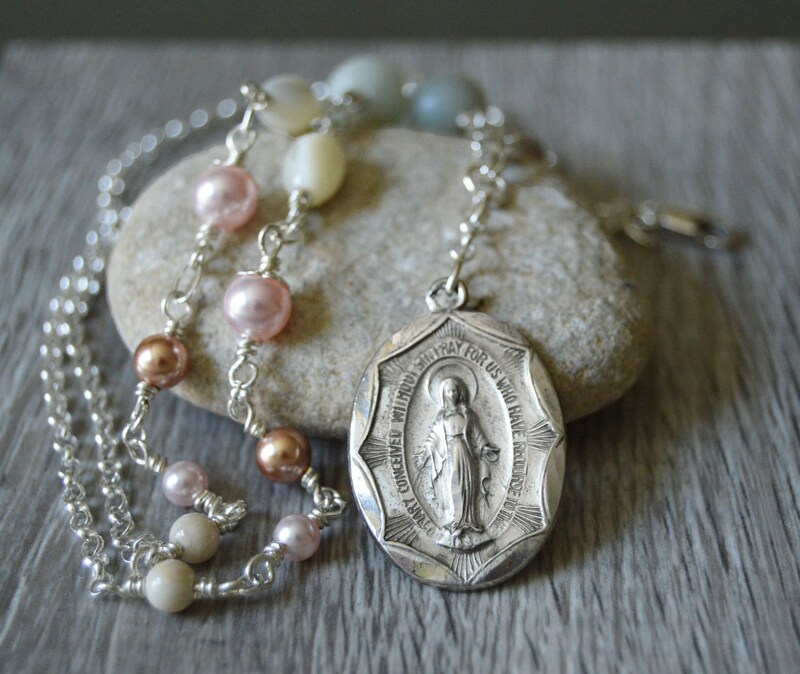 A Catholic necklace presenting a vintage sterling silver Miraculous Medal of Blessed Mother Mary. 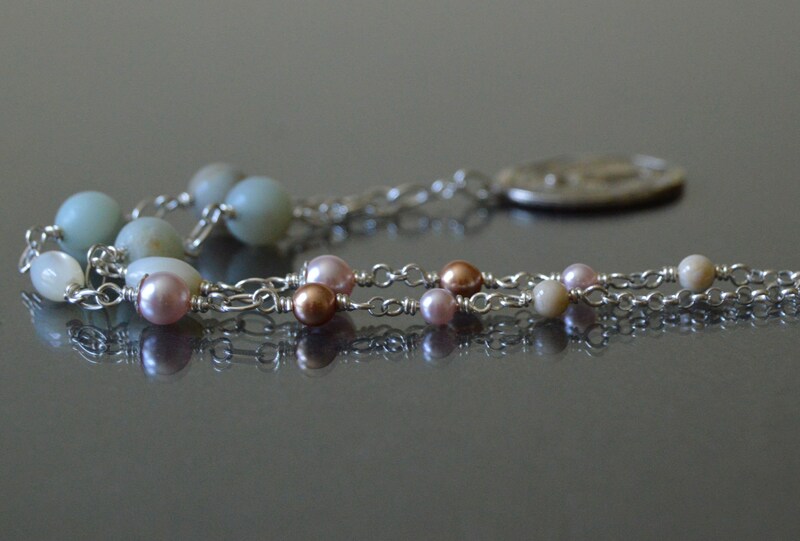 Shades of creamy whites, soft blush pink, and a touch of contrasting rose gold. 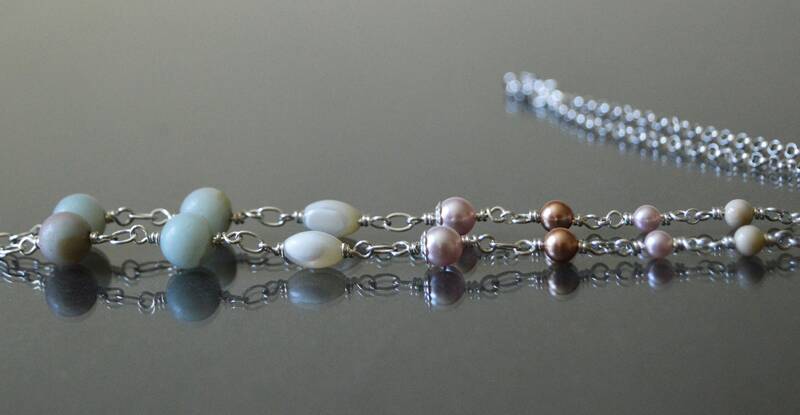 Four smooth agates add mint green, robin egg blue and a splash of grey. 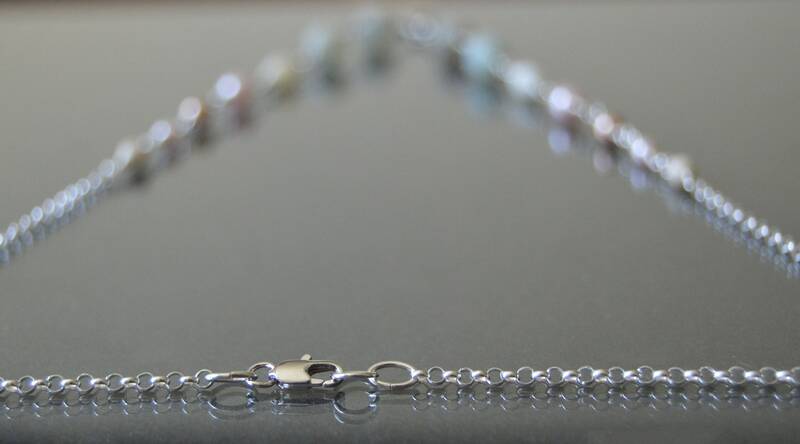 Sterling silver wire wrapped beads lead to a sterling silver toggle clasp blending a contemporary design with a traditional medal of devotion.